As the header image is the first thing that visitors see on your Steady page, it's important to choose yours carefully. Choosing the right image helps people understand more about your content. It should grab the attention of your audience and help tell your story. The header image should be at least 2048x512 pixels (ratio 4:1). The most important element must be in the middle. The image needs to be that size in order to appear correct in both horizontal and portrait view. When viewed in landscape (such as on a laptop screen), most of the image will be visible. When viewed in portrait (such as on a smartphone), the outer left and right edges may be cropped. 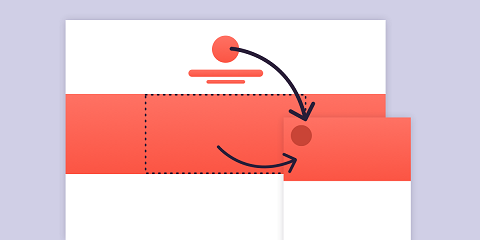 If you imagine your image was cut into four even columns, the middle two columns are where you should position your most important visual element. Your header image may contain your logo, but it doesn't have to. In the explore page with Steady Publishers, for example, the logo is displayed separately anyway - here you should also make sure that the logo does not cover any important motifs (for example a face). Here you can edit your Steady page and upload a suitable cover picture.